Backstory: She's the baddest gyal aka badgalriri from Barbados. She grew up in this game as a Good Girl Gone Bad, asking you "What's My Name?" and putting you to "Work" once you knew it. She came up with the help of Jay-Z,and flourished with numerous number ones to her name. She used to call Chris Brown bae, and might be calling Drake and Travis Scott that now. It's your girl RiRi aka Rihanna and Robyn Rihanna Fenty. She continues to dominate the fashion world with her PUMA FENTY collection and fashion forward style. 🤩DON’T JUST WEAR THE CELEBRITY, BECOME THE CELEBRITY - Drake & Chris Brown's Barbados bae has been putting in Work worldwide in music & fashion. 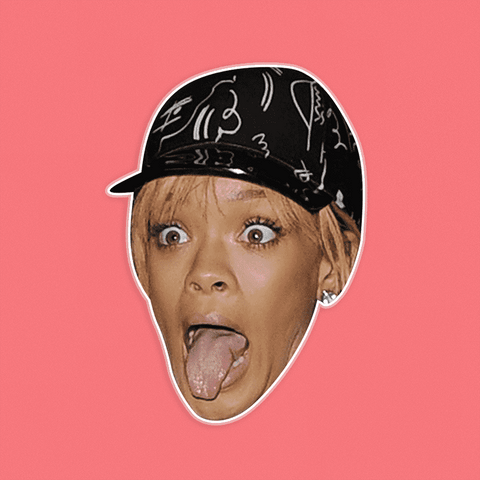 Stick RiRi's tongue out at concerts, parties, festivals, Halloween.